Book early and save up to 50% on your luxury vacation or business trip! The landscape is fascinating while the lake is embraced by highgreen mountains and the region is considered a “paradise” for nature lovers. It provides activities such as mountaineering, fishing, all types of mountain sports and walks in the forest. The lake is found 25 kilometres, west from Karditsa, at an altitude of 800 meters. Mount Olympus, the highest Greek mountain, was considered the residence of the twelve Gods in ancient Greece. 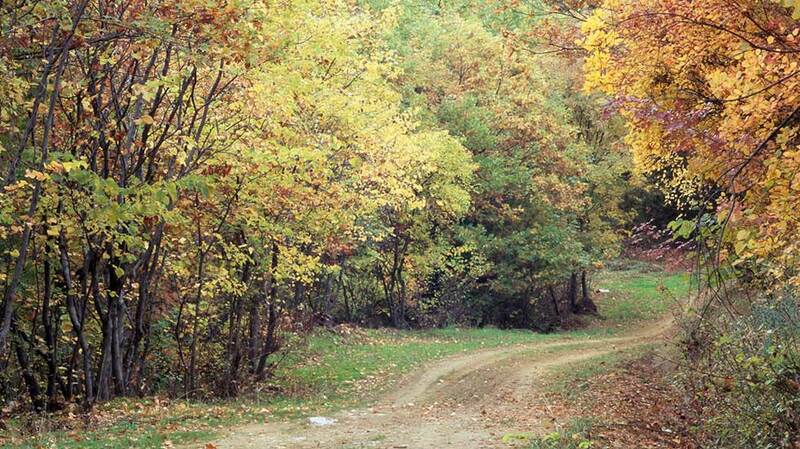 It is located in the border of Pieria and Thessaly and in 1938was declared the first National Park in Greece. Olympus is internationally known as for its important ecological characteristics and incomparable natural beauty as well as for its strong relationship with ancient Greek mythology. The importance of the National Park has been recognized not only in Greece and Europe but all over the world. In 1981 UNESCO declared Olympus a “Biosphere Reserve”. The European Community has included Olympus in the list of “The Most Important Bird areas of the European Community”. Agiokambos takes up the main part of the coastline of Thessaly Prefecture. The unique combination of sea and mountain is breathtaking; from wooded areas, important monuments to beautiful beaches! 14 km coastline from Velika and Sotiritsa to Agiokambos, the clear Aegean waters, the natural ports and the sandy beaches make the area an important tourist attraction for the area. Just 17 km northwest of Larissa liesTyrnavos, the second most populated town of the district. It is built along the left bank of River Titarisios (Xirias) and connects Larissa’s plains with Elassona. Boasting a deeply rooted tradition and history, the town reached its peak in the 18th century thanks to a booming manufacture of red dye for textiles as well as silk manufacturing and “alatzades” (textiles used for making naval outfits). Tyrnavos is today a dynamic, agricultural town, known throughout the country for its top quality wines and its very tasty “tsipouro” (alcoholic drink). In early autumn, grape harvesting begins with all residents participating in the traditional process. During the subsequent fermentation period, an intoxicating, perfumed “cloud” hovers above the town as the must is fermented and matured in the tanks. Everyone patiently awaits the distillation process to be completed. Locals and visitors alike blend in its particular ritual which also involves the offering of lots of “meze” (variety of delicacies) and naturally, drinking! “From the entire world, the best land is the Thessalian land…”Many things may have changed from the time when the Oracle of Delphi uttered this divination, however, the land of Centaurus and home of Asktepius still fascinates visitors with its extraordinary beauty. On the slopes of Mount Ossa, opposite the Tembi Valley, lies the historical Ambelakia village, 34 km northeast of Larissa. It is a protected traditional settlement with interesting architecture. The famous Schwarz mansion, built in 1787, is now a museum, with murals, woodcarvings, stained-glass skylights and elaborate fireplace. The enchanting Tembi Valley is one of the finest landscapes in Thessaly, if not in the whole of Greece. Flowing through the valley, between Mounts Ossa and Olympos, is the river Pinios, its rushing waters entering the Aegean Sea. Its estuary is an important wetland reserve protected by the Ramsar Convention. Above the town of Kalambáka, on the north-western edge of the Plain of Thessaly, the visitor encounters a breathtaking site of impressive monasteries “balanced” on massive detached stone pinnacles, 400 metres above the ground. Metéora is one of Christianity’s holiest places as well as a landscape of outstanding natural beauty. Metéora is the second largest monastic and pilgrimage area in Greece after Mount Athos. The first monks took refuge on these cliff tops fleeing an invading Turkish army around the 11th century. Several monasteries were built in the centuries that followed and all the building materials had to be winched up in baskets. Until 1920 this was the sole means for getting supplies up to the monasteries. According to numerous historical sources, there were once thirty religious communities but today only six of them remain and can be visited; other smaller monasteries, mostly built during the 14th century, are now deserted.Whether you are a believer, a spiritual seeker or a cultural traveller, this emotive place will offer you the opportunity to commune with nature, taking you on an unforgettable journey in the most profound sense of the word. Tsaritsani, a traditional village 38 km northwest of Larissa with stone-built mansions, tower-houses, interesting churches and old monasteries. Aghia, 37 km northeast of Larissa, with old monasteries and churches. Elassona, 42 km northwest of Larissa with the PanagiaOlympiotissa Monastery (14 C.) built on the hill of the ancient acropolis. Kefalovryso Cave, 14 km west of Elassona. A valid passport (and in some cases, a visa) is required to enter Greece. Please check with your local embassy or high commission for further information. Greece is a member of the EU (European Union). All major credit cards are accepted and international bankcards work in most ATM machines. The nearest bank is 500m/ nearest cash dispenser at 300m. Travellers’ cheques and foreign currency may also be exchanged at the Reception desk, 24 hours a day. The voltage throughout the Resort is 220V/50Hz with a special 110/120V electric shaver outlet in each bathroom. Greek law prohibits animals in the hotel with the exception of guide dogs. Book online & enjoy special rates! Relaxing Spa Treatments at Imperial Health Spa!